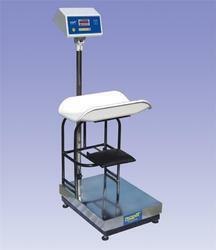 We are one of the leading Distributor & Trader of Bench Scales. Our product range also comprises of Billing Machine, Currency Counting and Value Added Counting Machine. 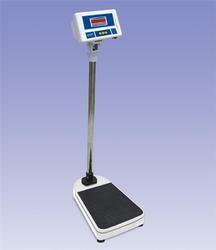 Our company is instrumental in offering fine quality Electronic Bench Scales to our valuable customers. The offered bench scales are commonly used to measure the weight of different objects in various industrial applications. Owing to the optimum performance and minimum maintenance, these scales are highly demanded in the market. We are among the prominent traders and distributors of a wide range of optimum quality Platform Bench Scales. 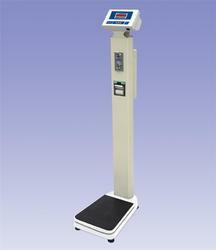 Available with us at highly reasonable market prices, these scales are used to measure the weight of different objects. 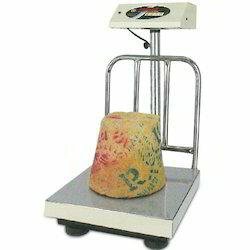 The offered scales are procured from certified vendors to ensure optimum standards of quality. Easy-to-read bright RED LED display with unique angle setter assembly for setting convenient and clear angle of display. Hi-tech 24 bit ? - ? ADC technology provies high resolution for better performance. Holds the stable weight, retains the last eight in memory. Indication for Zero,Lock,Battery,Battery low,A.C. On. Keyboard with audible entry and over load indication. 6V-4AH SMF battery and charger(for PW model only). Detachable extra display at 5 mtrs. Ideal for weighing Infants, Children & Adults all on a single scale (3-in-1). Supplied with foldable Baby Bowl & foldable small seat for children. Digital filteration technology provides distortion free, stable & repeatable weight reading. 24 bit S-?ADC provides high internal resolution. HOLD function to lock the weight.